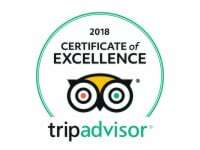 Safari Tours & Travel has been awarded TripAdvisor’s Certificate of Excellence 2016 for its Tangkoko Tours. 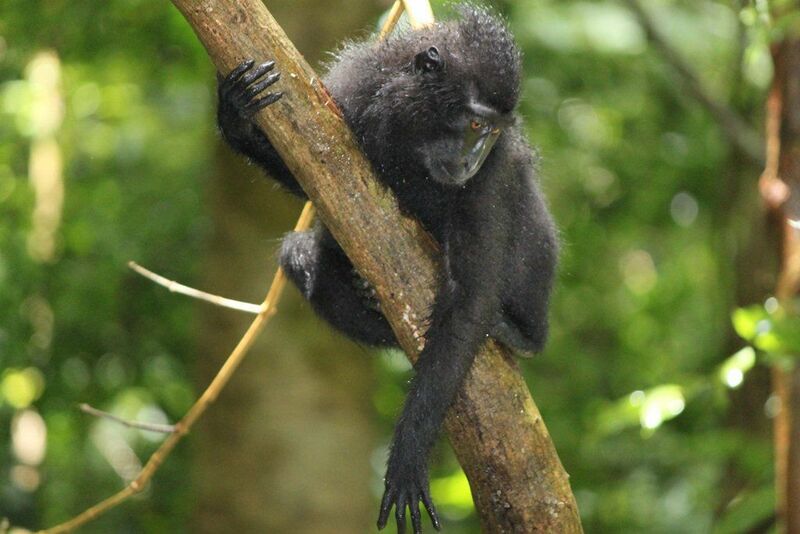 Departing Safari Tours office, we proceed 2 hours to the 8700-hectare National Park where we will hike in search of the Black Crested Macaque (Black Monkey indigenous to North Sulawesi) as well as the famous Tarsius Tarsier. Cameras, long pants and a flashlight are the order of the day. 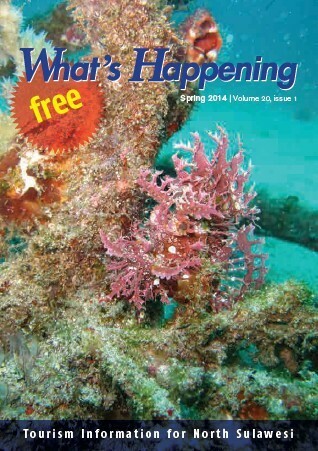 Exciting trip for nature lovers, trekkers, and anyone who likes the outdoors. $137/person, based on 2 persons – Single $172. 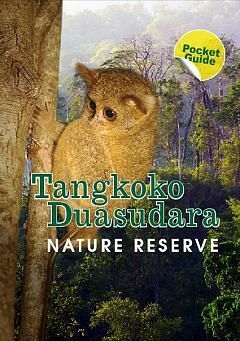 Includes: Transport, 1 Free Tangkoko Pocket Guide per 2 persons (56 pages), entrance fee, English speaking guide, all ranger/guide fees, 1 lunch, 1 soft drink. 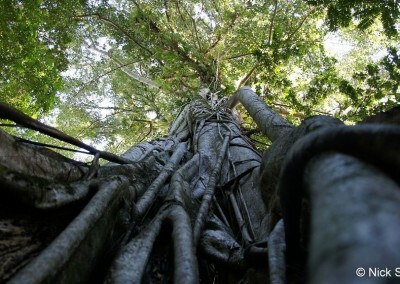 This is an exciting overnight trip for nature lovers, trekkers, and anyone who likes the outdoors. 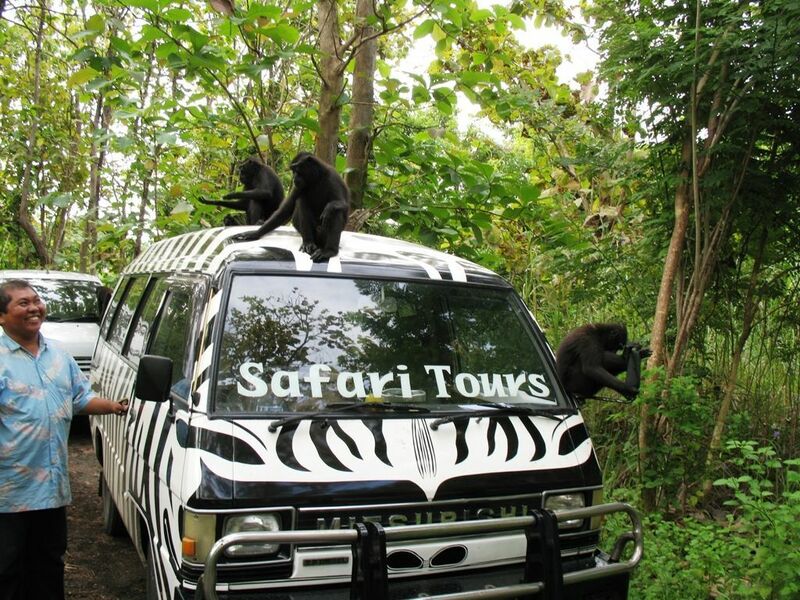 Transfer by Safari Tours bus or AC 4 pax vehicle to Nature Reserve. The 2-hour drive to the 9000-hectare National Park is quite scenic as we pass through small villages. 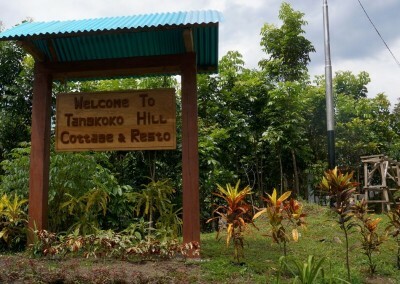 Upon arrival, immediately check in to Tangkoko Hill Cottage & Resto or equivalent. 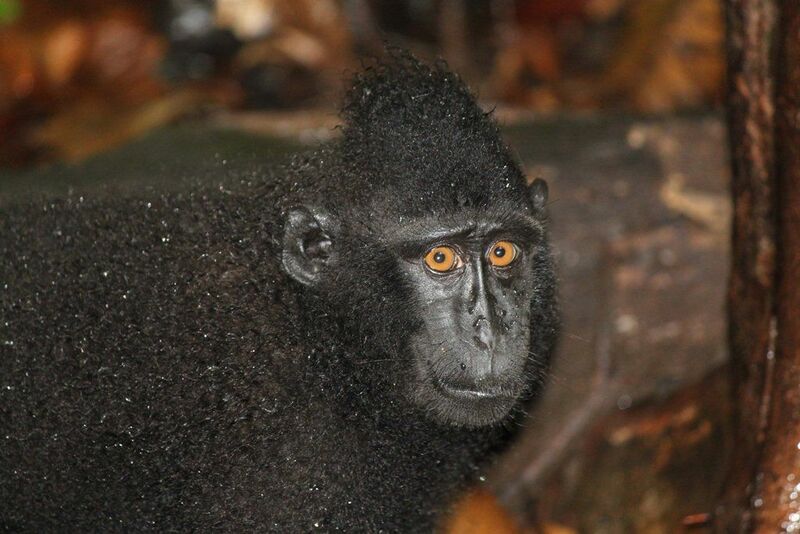 You will then be guided by local forest rangers (and Safari staff) in search of the Black Crested Macaque (Black Monkey indigenous to North Sulawesi), hornbills, and couscous as well as other fauna specific to the reserve. 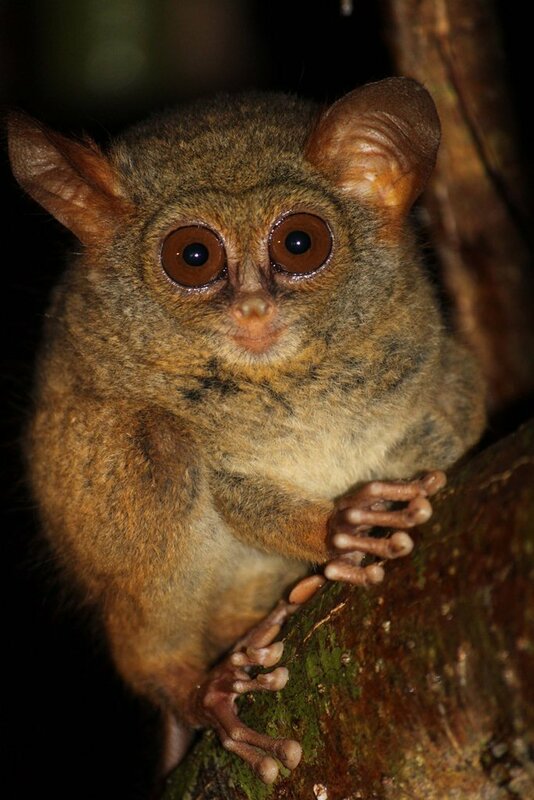 Depending on what time it gets dark, we will head into the denser part of the jungle as the sun is setting, where you will (most likely) be able to get photographs of the Tarsius Tarsier (one of the smallest known primates). 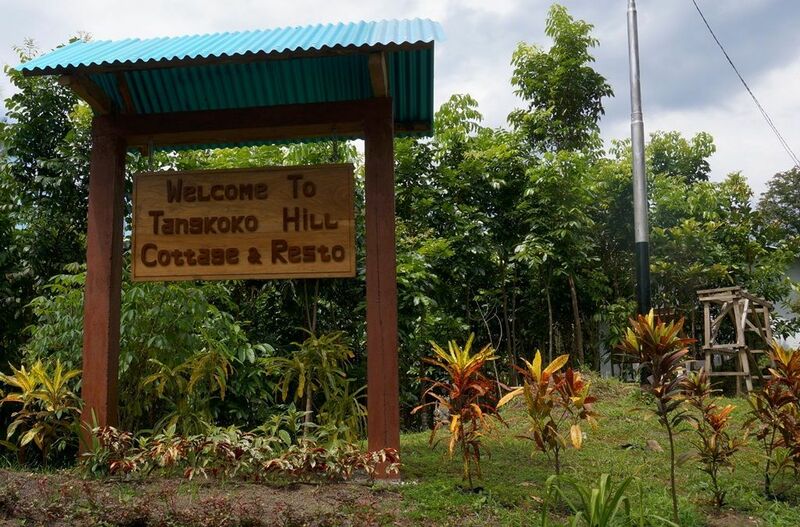 After it is completely dark and the Tarsier have departed for their nightly foraging, we head back to the homestay for a basic traditional dinner. Overnight. 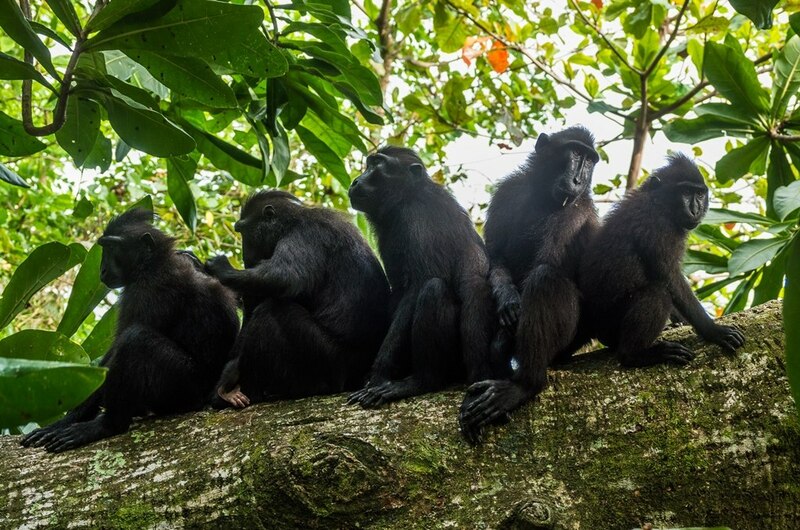 Rising early, you will again hike into the forest with local rangers where you will have the best opportunity to view more birds and certainly the Black Crested Macaque as these monkeys are earlier risers and are searching out food along the coastline at Tangkoko. 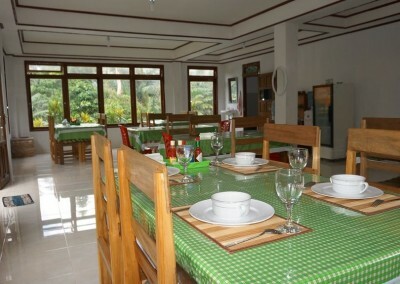 After several hours it’s back to the homestay for a traditional breakfast and prepare to go back to Manado. Arrive in Manado between 9 -11 AM. 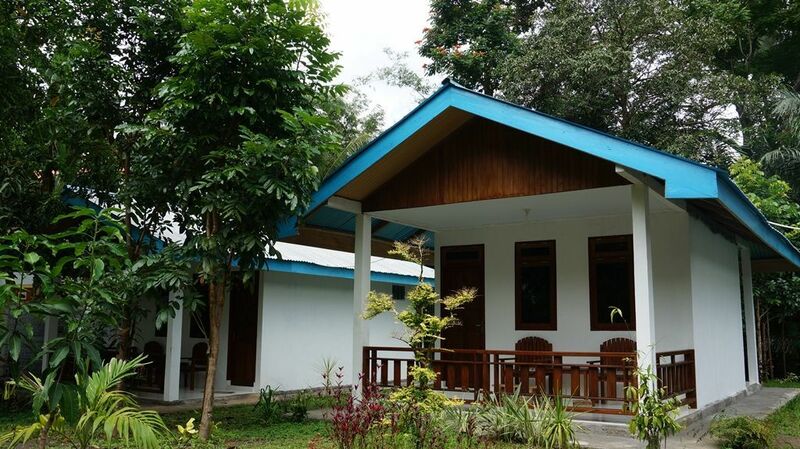 $187/Pax (min 2 pax) – Single $237. 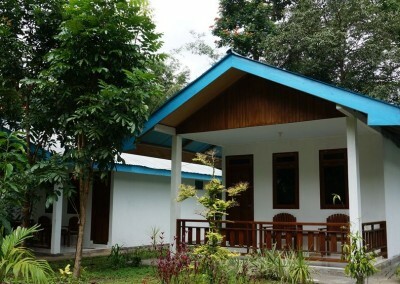 Includes: Transport, 1 Free Tangkoko Pocket Guide per 2 persons (56 pages), entrance fee, English speaking guide, all ranger/guide fees, overnight homestay, 1 lunch, 1 dinner, 1 breakfast, 1 soft drink per meal. 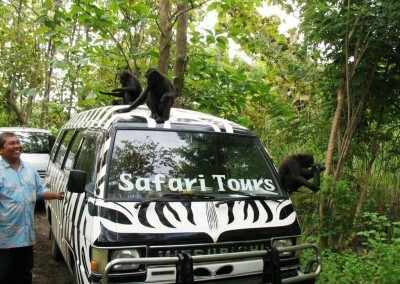 Transfer by Safari Tours bus or air conditioned vehicle to Nature Reserve. The 2-hour drive to the 9,000-hectare National Park is quite scenic as we pass through small villages. Lunch en-route. Upon arrival, immediately check in to home-stay. 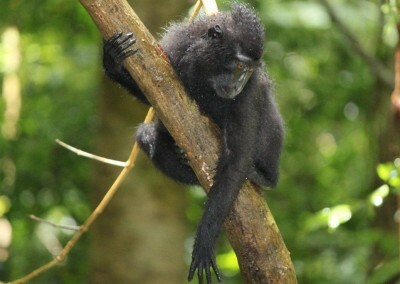 Clients will then be guided by local forest ranger and Safari Tours guide in search of the Black Crested Macaque (Black Monkey indigenous to North Sulawesi), hornbills, and couscous as well as other fauna specific to the reserve. 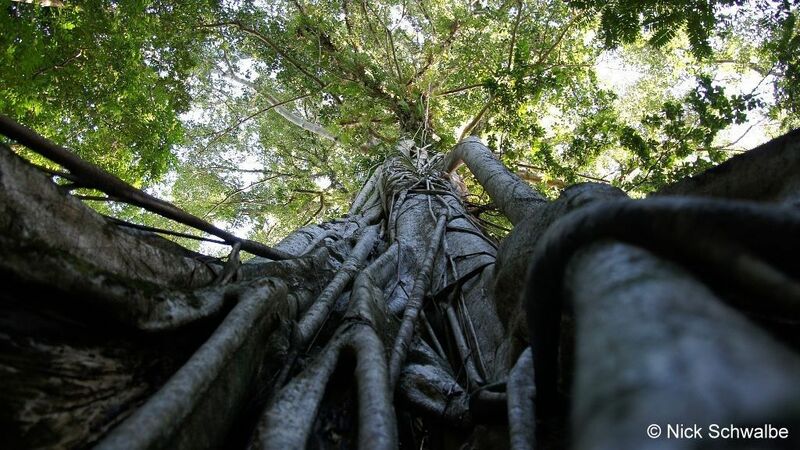 Depending on what time it gets dark, we will head into the denser part of the jungle as the sun is setting, where you will (most likely) be able to get photographs of the Tarsius Tarsier (one of the smallest known primates). 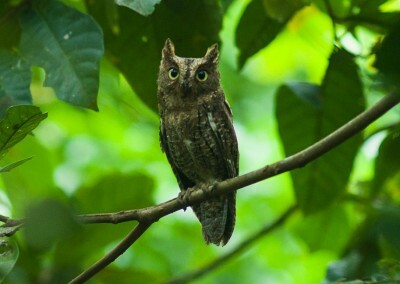 After it is completely dark and the Tarsier have departed for their nightly foraging, we head back to the home-stay for a basic traditional dinner. Overnight. Rising early, we will again hike into the forest with local ranger where clients will have the best opportunity to view more birds and certainly the Black Crested Macaque as these monkeys are earlier risers and are searching out food along the coastline at Tangkoko. After several hours it’s back to the home-stay for full breakfast and a 1 or 2-hour rest. After lunch we will head back the jungle for more opportunities to see the Tarsius Tarsier (one of the smallest known primates) and other wildlife of the nature reserve. 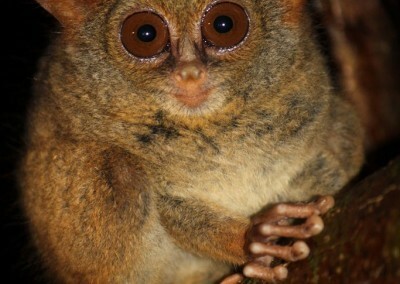 After it is completely dark and the Tarsier have departed for their nightly foraging, we head back to the home-stay for dinner. Overnight at home-stay. 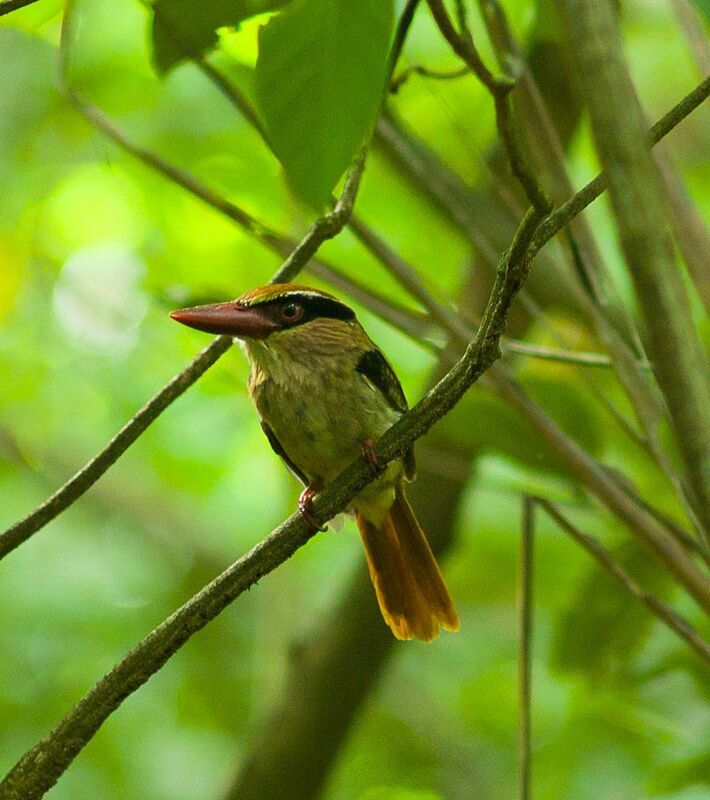 Also included is a mangrove trip by traditional fisherman’s boat, for more birding or sightseeing opportunities (tide/weather dependent). 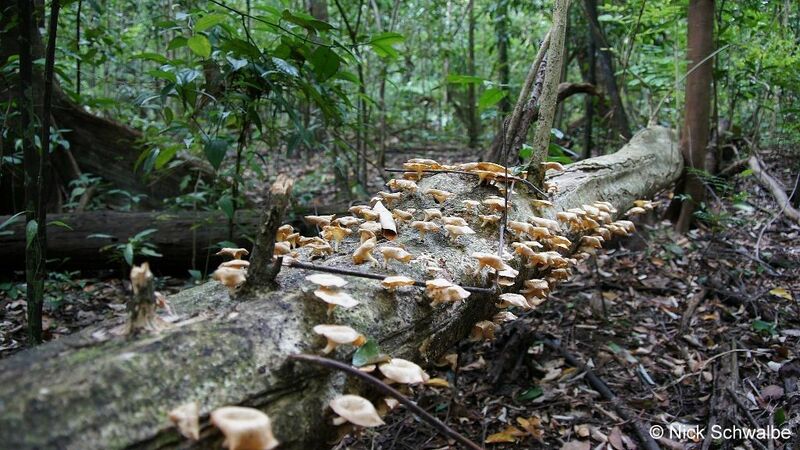 Rising early, another opportunity (if you choose) to hike into the forest with local ranger and Safari guide. 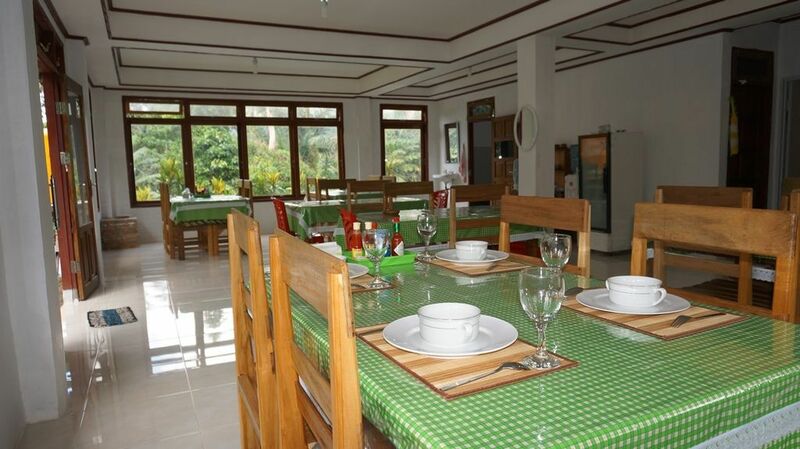 We return to the homestay for full breakfast and preparing to check out. 10.00 Latest time leaving the homestay to go back to Manado or to the airport to catch clients’ next destination flight. $377/Pax (min 2 pax) – Single $472. 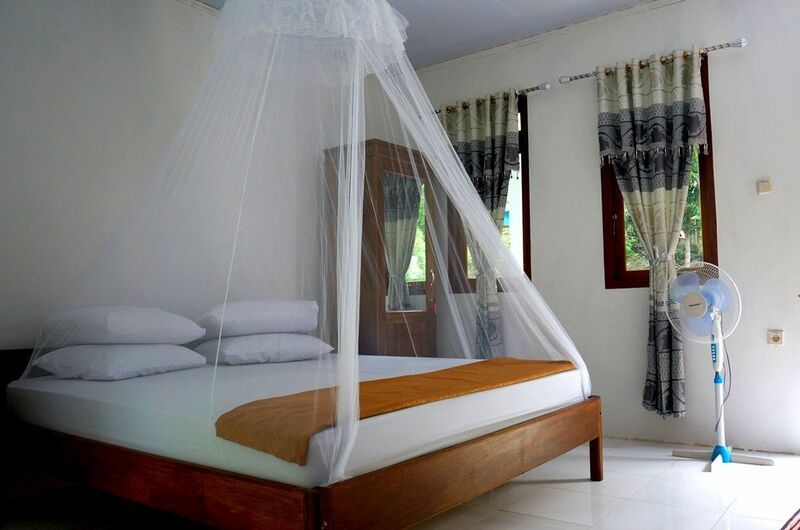 Includes: Transport, 1 Free Tangkoko Pocket Guide per 2 persons (56 pages), entrance fee, English speaking guide, all ranger/guide fees, overnight homestay, boat for mangrove trip, all meals as stated in the itinerary (from lunch on D1 to breakfast on D3). 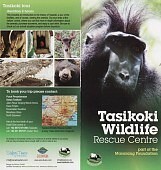 Only one hour away from Tangkoko Nature Reserve (on the way) is Tasikoki Wildlife Rescue and Education Centre (www.tasikoki.org). 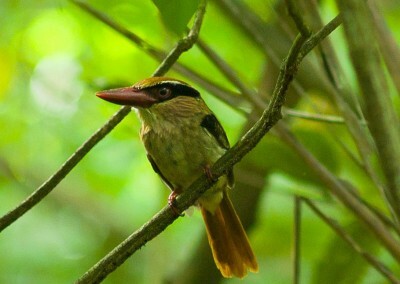 Here you can observe many unique species from Indonesia, as well as several endemic to Sulawesi. 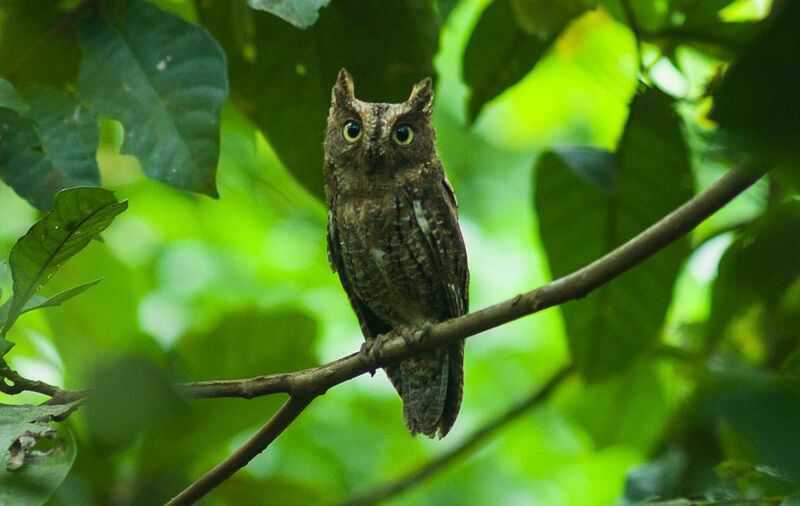 All animals have been rescued from the illegal wildlife trade. When taking a tour of the centre (1.5 hours) you will learn about conservation of wildlife and nature as well as the rampant wildlife trade. After visiting the animals you can enjoy a vegetarian meal (with fish) together with the staff as well as the many volunteers from all over the world. 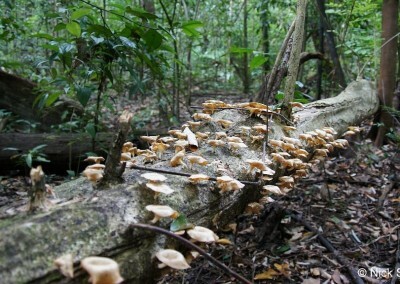 Price: $35/person as add-on to a Tangkoko Nature Reserve trip.